For many coffee enthusiasts out there, every day is a coffee day. Such is our love for coffee that we just can’t live without it. Most of us make coffee at home because let’s admit it, it is convenient, affordable, and of course, it is not rocket science…or is it? Making coffee is an art, it really is, and there are so many aspects that one has to consider. It is highly likely that you and your friends have a favorite coffee shop where you like to hang out every now and then. What makes their coffee better than one you make at home and how can you start making coffee like a pro? Keep reading if you want to know about some common mistakes which prevent you from making coffee great coffee. Some Common Mistakes You Make! Most people think that they know how to brew an amazing cup of coffee, but often they are making some common mistakes over and over again. Just having among the expensive drip brewers doesn’t makes a perfect cup of Joe if one doesn’t really understands the basics. 1: Coffee looses its freshness when it is not stored in cool and dry places. Some people put coffee beans/grinds in the freezer and it can make the coffee beans/grinds absorb unwanted moisture and lose its freshness. Store the beans properly in some airtight coffee containers. 2: Many people find themselves complaining about a weak or watery coffee. It is because they are not using the suggested 1-2 tablespoons per 6 oz water. 3: Not grinding the coffee in the right manner can result in a below-average coffee. Using the right grind prevents it from happening. 4: It may sound silly, but using unfiltered raw water is a big mistake. There can be impurities, chlorine, and bad odor in unfiltered water and they can change the way your coffee tastes. Make sure that you use high-quality water for your coffee. 5: If you are brewing at the wrong temperature then you can expect a weak or bitter coffee coming at your way. Brewing at the right temperature is highly important – it is as simple as that! The ideal temperature for brewing coffee is between 195-205 degrees. This is equivalent to 30-45 seconds of boiling. For 16ml of water, 1g of coffee or 55-60g coffee for 1 liter of water – a brew ratio of 1:16. If you feel like your coffee is too strong then you can change the brew ratio to 1:17 and make sure that this ratio is not altered much. Use a perfect weighing scale that is meant to be accurate for kitchen. When it comes to making coffee, do not make one of the most common mistakes – using unfiltered water. You have to comprehend the fact that unfiltered water can contain chlorine and bad odor. Therefore, just make sure that you use filtered water. Next comes using the right beans for your coffee. 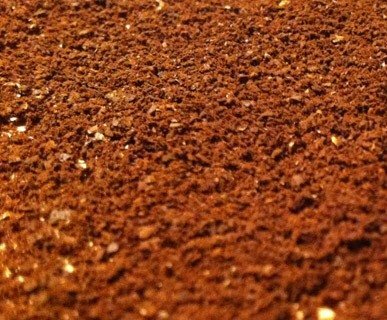 Grinding coffee beans is essential for extraction of enough flavor compounds in the shortest time. In order to get the right size of coffee beans for grinding, your brewing method needs to be considered. It is because brewing time matters a lot: flavor can change drastically if you brew a bit too long or too short. If you have a coffee brewer with grinder, make sure it’s set to desired output. Fine grounds need to be selected for fast brewing methods e.g. espresso. The extraction takes place in between 20-40 seconds. Coarser grounds are recommended for slow-brewing methods such as French press, hand pour-overs or coffee makers. The brewing time can be between 2-5 minutes. It is important to understand that the flavor is in the beans, all you have to do is to grind them right to extract the maximum flavor out of them. See the Grinders that are perfect for home. The extraction process while brewing a coffee goes through various time phases, mostly three if you do it right. In the first phase, an acid taste is achieved and it has least bitterness. The second phase, aroma is achieved. Third, most bitterness is achieved. You have to stop brewing between the second and third phase. It is imperative to understand that a strong coffee doesn’t have to be bitter. One cannot emphasize on brewing at the right temperature and that is why water temperature is extremely important. If you are brewing at the right temperature then it opens up the road to extracting flavor at a reasonable time – that too without making the coffee too bitter. That is why it is best to brew your coffee at 92-96 C (197-205 F) temperature. There are coffee brewers that brew at right temperature always, but also there are many that are not consistent. So when you next buy any brewer, try for the perfect one if you are serious about coffee making. If you follow all the aforementioned steps, it can be said with utter confidence that you’ll be able to make coffee like a pro, but of course, it’ll require some practice. All in all, the steps help you in building a strong foundation on which your coffee making skills can thrive. Just be passionate about coffee and always keep on educating yourself about it. Still, if you are not sure about following the above steps, go and buy a K-Cup coffee maker as it will skip most of the steps except switching the brewer on-off and filling the reservoir with water.